The transportation industry is never at a standstill. 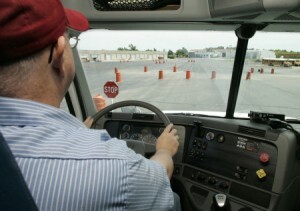 Consequently, events at Motor Transport Association of Connecticut (MTAC) are ever changing . Whether the association is crafting a legislative initiative, responding to a media story, or designing a new training program, MTAC is Connecticut’s industry watchdog. At the heart of our efforts is a simple goal: Help you make the transportation side of your business as safe, compliant, and cost effective as possible. Many of our programs and services are short term projects offered in response to membership needs. What this means is that we may offer a seminar on a change in federal regulations one month and a seminar on new registration procedures the next. With so much changing, there are certain core needs that must be met every day. Listed are some of our programs and services offered by MTAC to help you remain safe, compliant, and profitable.